Today’s underwear review is of the Emporio Armani Marine Eagles Motif brief. The pair we tried on was supplied to us by Banglads. These briefs are part of the new Summer 2014 collection from one of the world’s favourite Italian fashion houses, Emporio Armani. Classic design, nice feel. It feels a bit awkward to write a review about so well-known an underwear brand. 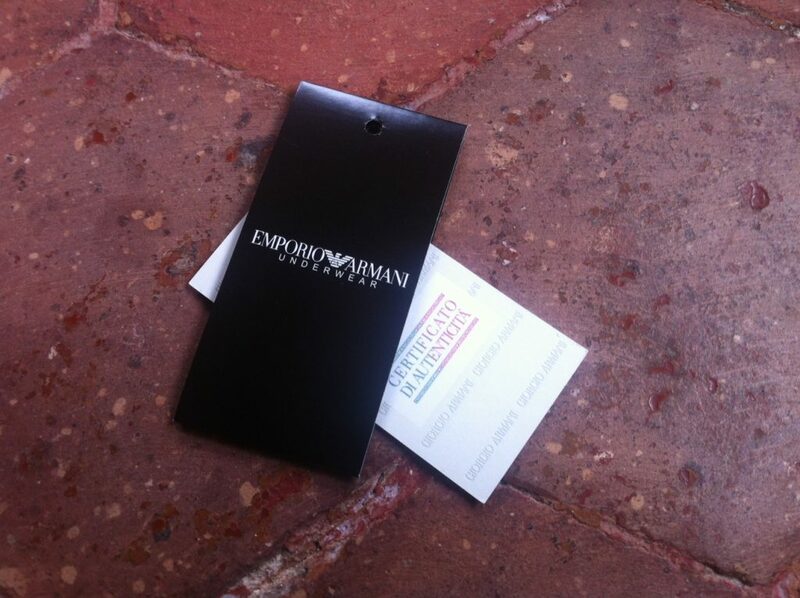 You really cannot go wrong with Emporio Armani as it is one of the most consistent brands in terms of cut and fit. If you are into “classic” cut briefs, then the Marine Eagles Motif will probably hit the spot: close-fitting contour pouch, thin waistband and lightweight fabric. Maybe a bit heavily branded for my taste, with the logo printed not only on the waistband, but also repeated as a pattern on the fabric – but the resulting overall balanced colour combination of grey and navy blue is pleasing. The pair is comfortable enough to wear all day long and did really well in the wash. The fabric is super soft and lightweight and the waistband is extremely comfortable. 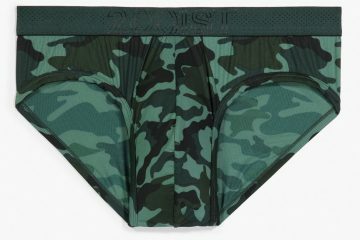 The stitching is really strong – a good indication of underwear that is durable and that you can happily wear for a long time. Overall they feel and look exactly as you would expect from Armani at the moment. lightweight, very soft, and feels extremely comfortable against the skin. Fit: The fit is very good: Close-fitting contour pouch. Soft, stretchy fabric. Covered elasticated leg trims. Comfortable. details. The panels seem to differ slightly, with the pouch centre stitch somewhat misaligned. Strong stitching. Label with washing instructions. Armani authenticity certificate included. Fabric: Cotton 95% and elastane 5%. Normal rise briefs. Extra room in front. Elasticated waistband. Made in Thailand.